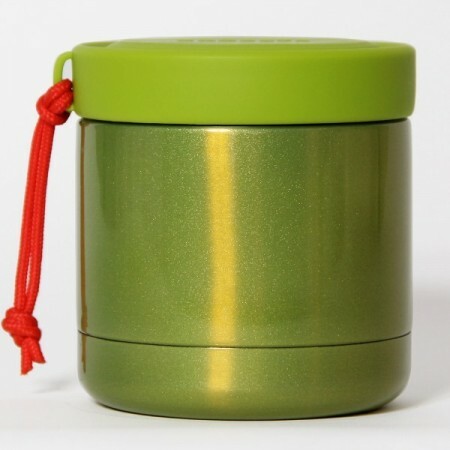 A metallic green insulated food jar with matching lid. 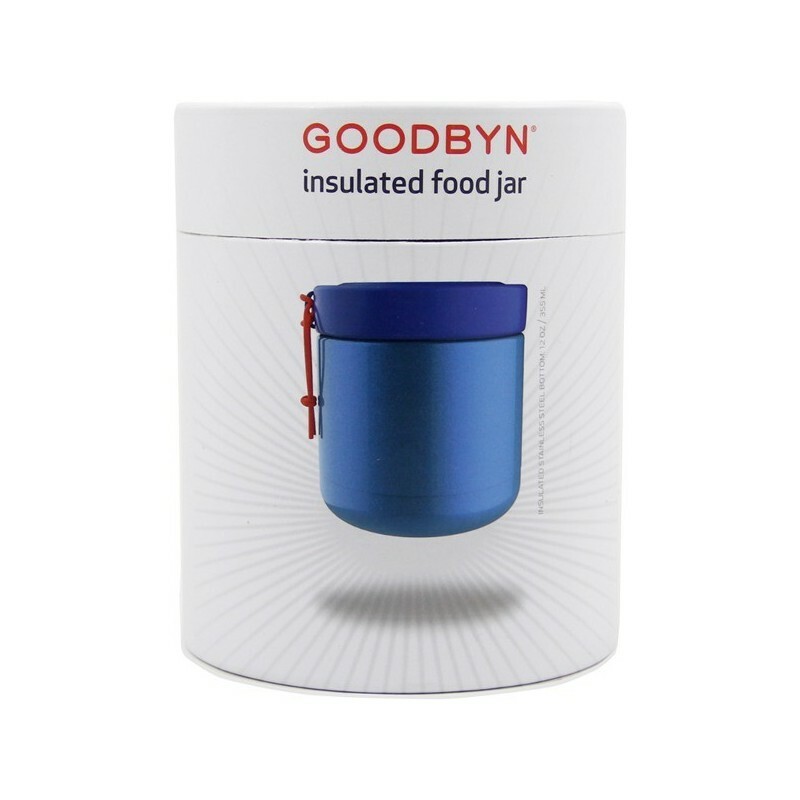 Keep food hot for seven hours or cold for nine. 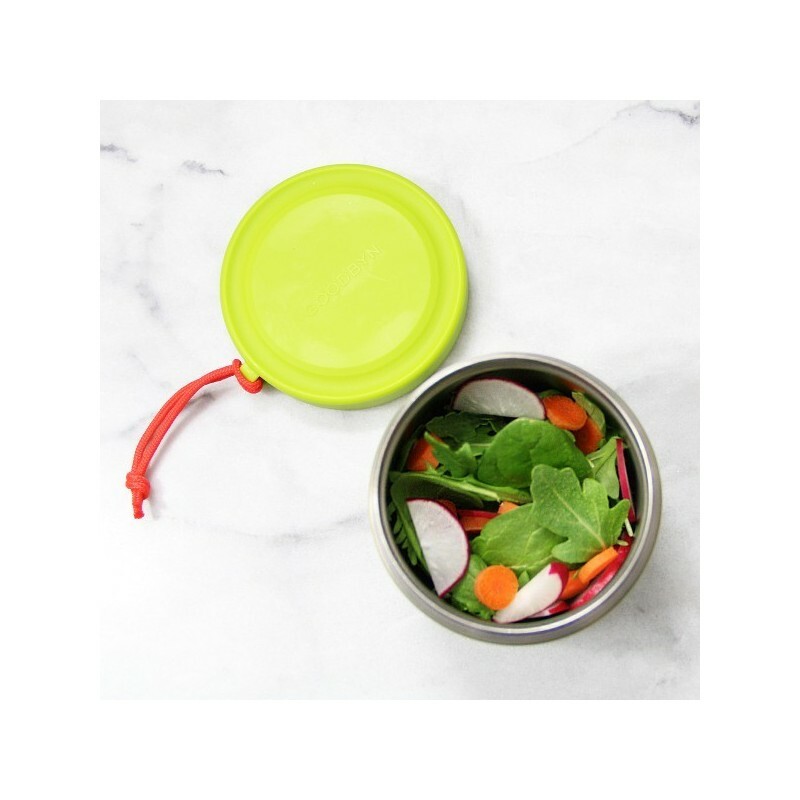 Made from food grade stainless steel and BPA free plastic, this container is fully recyclable at end-of-life. Wide opening for easy washing and use. 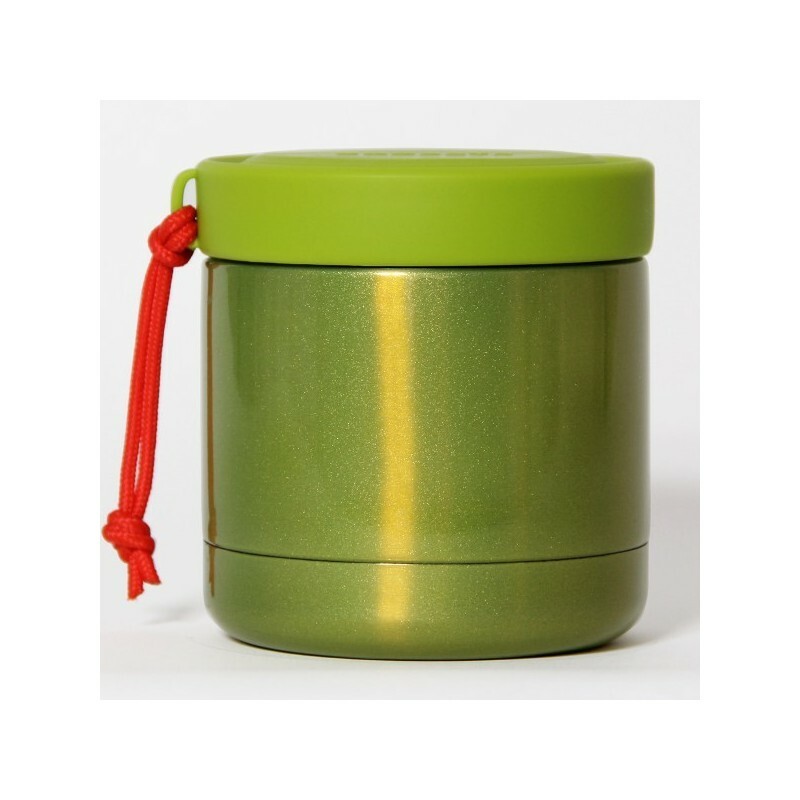 Great for hot soups or cold yoghurts. Green colour. 350ml. 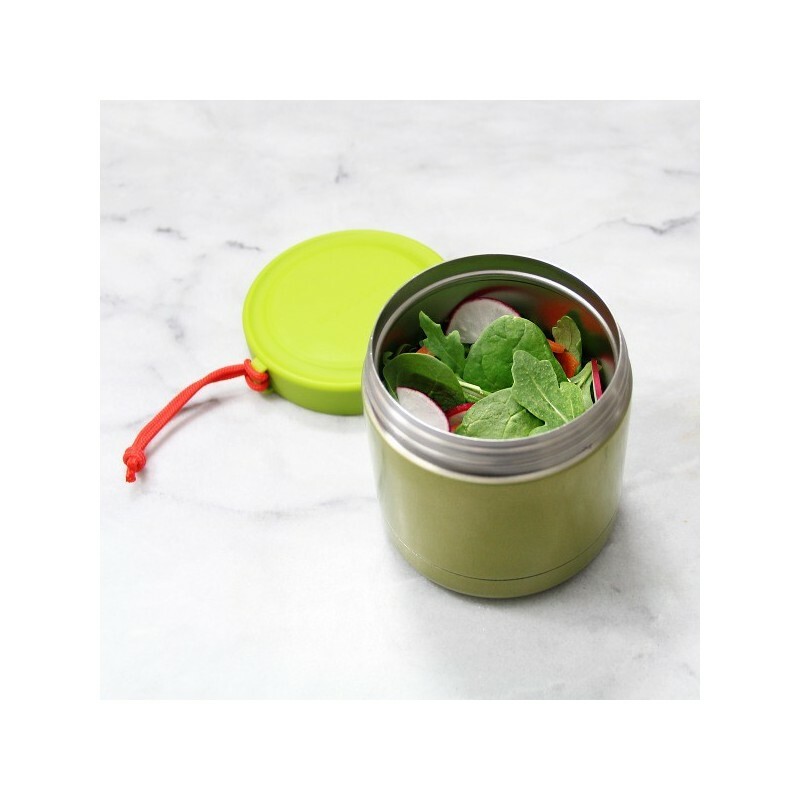 Food grade stainless steel insulated jar. Polypropylene plastic (#5 PP) and Stainless steel (#40 FE). 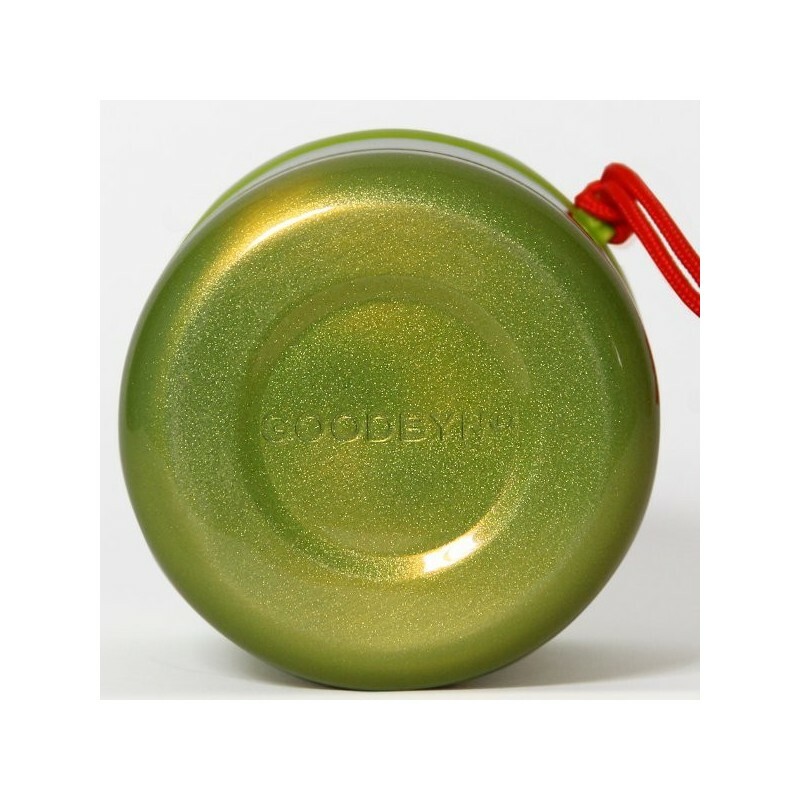 10.5cm high x 9.5cm diameter.